This 925 Sterling Silver bead is encrusted with white syn. Zirconia creating a dazzling bead to add to your collection. 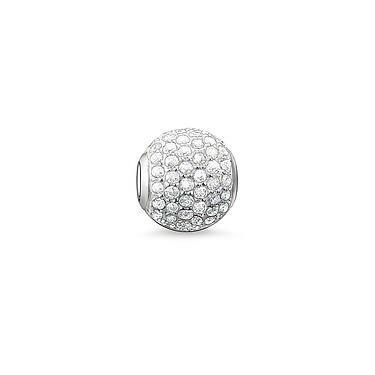 Add some glamour to your collection with this beautiful bead.